Flu vaccines are offered in many locations, including doctor's offices, clinics, health departments, pharmacies and college health centers, as well as by many employers, and even in some schools. Even if you don't have a regular doctor or nurse, you can get a flu vaccine somewhere else, like a health department, pharmacy, urgent care clinic, and often your school, college health center, or workplace. A flu vaccine is needed every season for two reasons. First, the body's immune response from vaccination declines over time, so an annual vaccine is needed for optimal protection. Second, because flu viruses are constantly changing, the formulation of the flu vaccine is reviewed each year and sometimes updated to keep up with changing flu viruses. For the best protection, everyone 6 months and older should get vaccinated annually. No. It takes about two weeks after vaccination for antibodies to develop in the body and provide protection against influenza virus infection. That's why it's better to get vaccinated early in the fall, before the flu season really gets under way. Yes. There is still a possibility you could get the flu even if you got vaccinated. 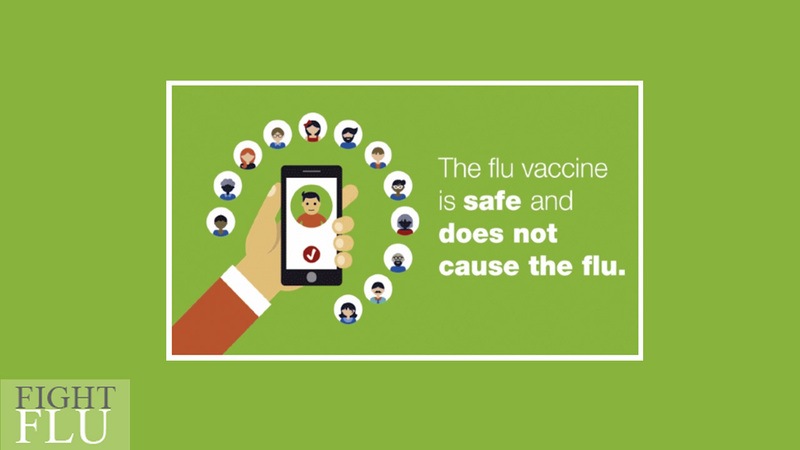 The ability of flu vaccine to protect a person depends on various factors, including the age and health status of the person being vaccinated, and also the similarity or "match" between the viruses used to make the vaccine and those circulating in the community. If the viruses in the vaccine and the influenza viruses circulating in the community are closely matched, vaccine effectiveness is higher. If they are not closely matched, vaccine effectiveness can be reduced. However, it's important to remember that even when the viruses are not closely matched, the vaccine can still protect many people and prevent flu-related complications. Such protection is possible because antibodies made in response to the vaccine can provide some protection (called cross-protection) against different but related influenza viruses. For more information about the flu, please visit CDC.gov.